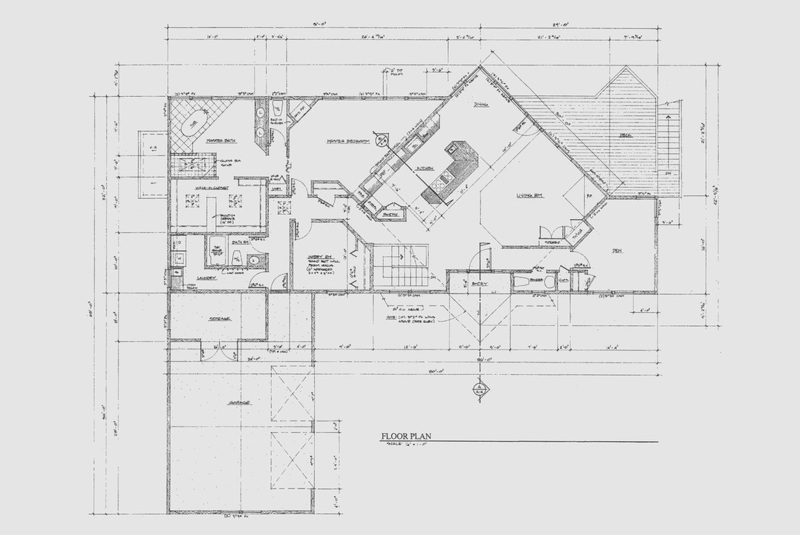 Hand drafted design is the thoughtful process of designing floor plans and elevations by hand. Your designs start as drafts on tracing paper and are finalized on a sturdy cotton paper called Vellum. These designs can be shared electronically. Commitment to client vision means creating designs that are both affordable and quality focused. Hand drafting gives me the freedom to design quickly and effectively, while allowing me to know every aspect of the design incredibly well. For many clients, there is a strong appeal in having plans designed by hand. Like other fine craft products, they contain a “humanness” that is always appealing. For over 20 years, I have crafted custom home, addition and remodel designs for the Pacific Northwest by hand. These drafted plans are efficient, thorough and beautiful. You should be able to live in your home safely, independently and comfortably, regardless of your age, income or ability level. Contact me to learn about the possibilities for Aging in Place home design, and American Disabilities Act compliant home design. JAMES J STEWART DESIGN INC.